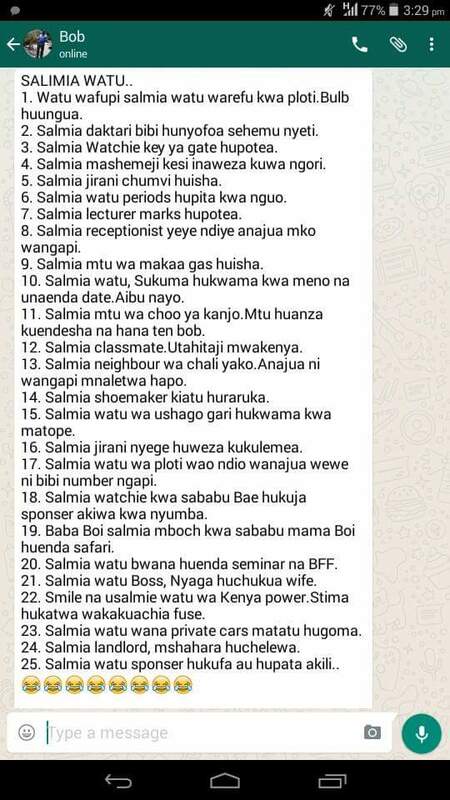 I don’t know how it started, but ‘Salimia Watu’ jokes have made a huge presence on social media. Below we look at some of the funniest. Salimia watchman. Bibi hutoroka na kila kitu kwa nyumba.